Hello Katie Girl: Oops, I Did it Again! 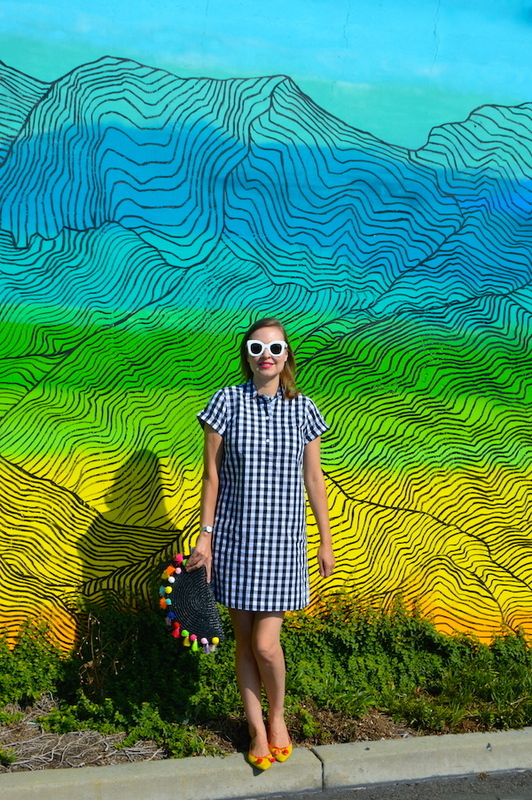 Yes, I have this check dress in two colors! It's just that good! (To be honest, if they had it in a third color, I'd probably get that one too!) About a month or so ago, I posted this same dress in green and white and today I'm featuring the black and white version. I feel as if the black and white version works a little bit better for fall. 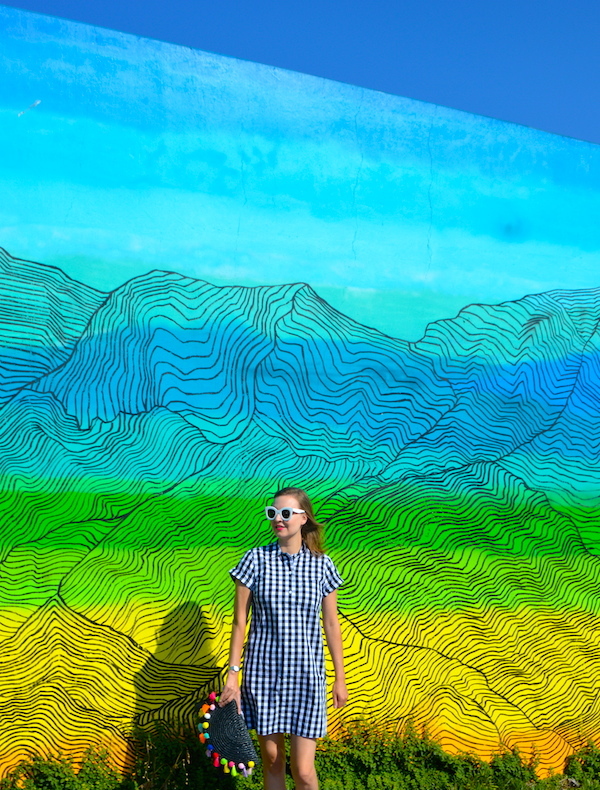 Of course in some parts of the country right now it might be too cool for a short sleeve shirtdress, but here in Los Angeles it's just right! 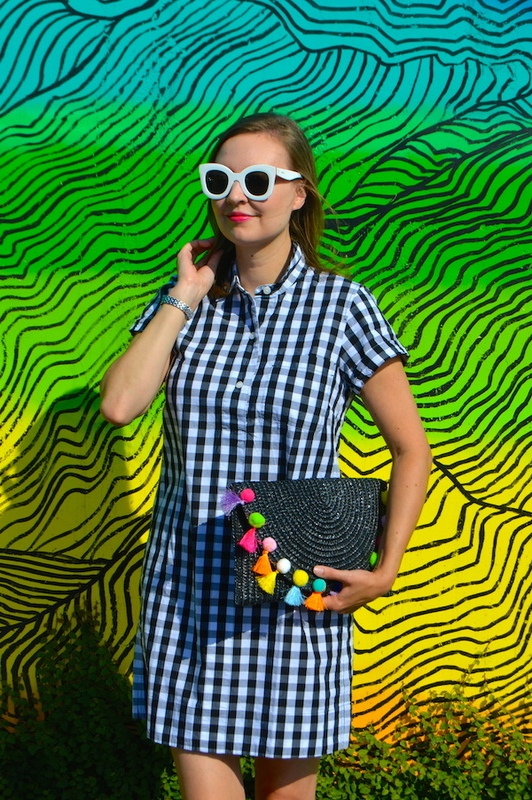 As I mentioned before, I find black and white check or gingham to be a pretty versatile pattern. It can be worn with a variety of accessories and it transitions well from season to season. 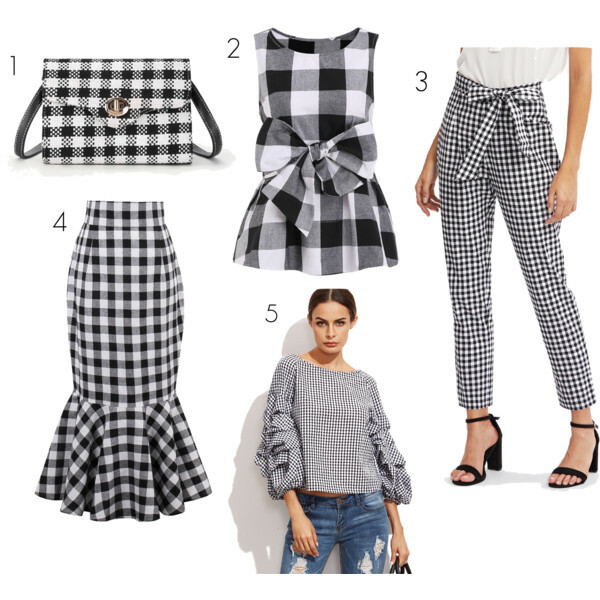 Below are a few of my other favorite black and white check items for fall from SheIn, all of which will give you a great bang for your buck due to the fact that they are all under $20! 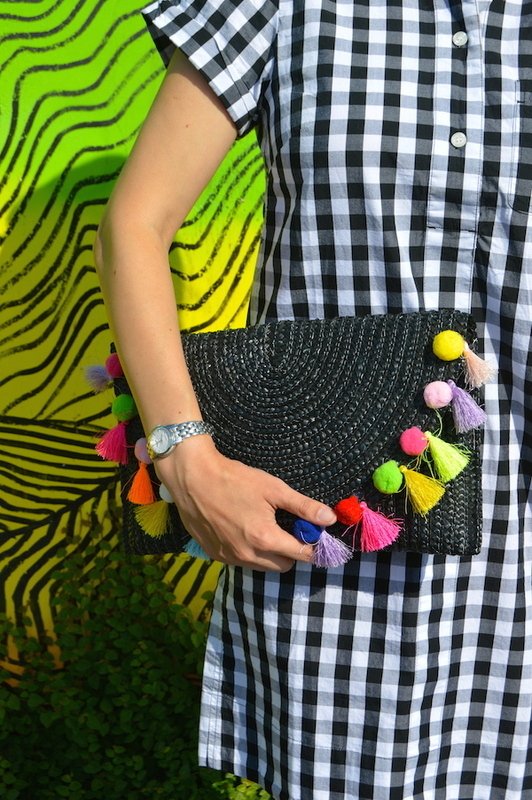 Last of all, speaking of accessorizing with gingham, how awesome is this pom pom clutch? Again, it's something that has sort of a summer feel due to the straw fabric and bright, colorful pom poms but because I got it in black, I think it can work for fall too. 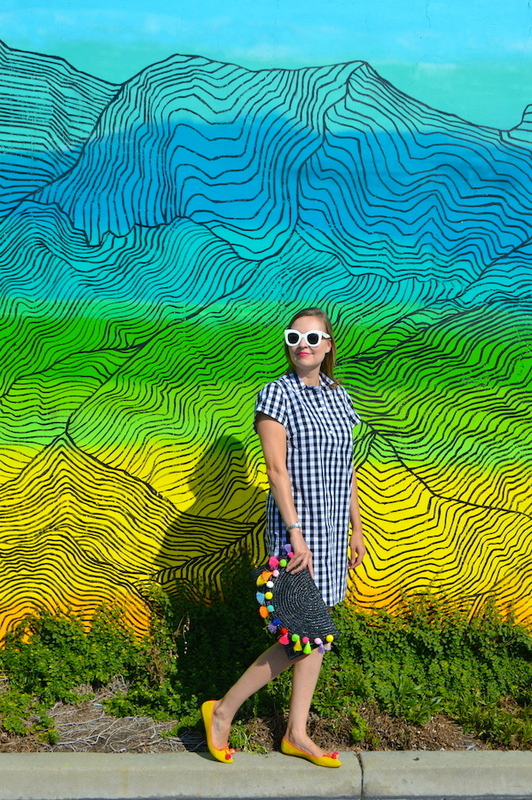 As you can see, I'm really trying to find ways to transition my wardrobe into fall, which can be tricky when you are seeing others on social media and on blogs in plaid scarves and sweaters already, but I'm still dealing with temperatures in the 90s! Well it's such a great dress so go for the two colors! I love the yellow flats and that tassel purse is the cutest! Wow! It was such a good idea to add a fun pop of color to this look! I love the way your pom pom purse matches your pom pom shoes. Also, the background you selected for this picture fits perfectly! I love that you are bringing such fun colors into fall.